School starts back this week. No more gainful unemployment for us. This means many sad things.... No more breakfast at 10am. No more leisurely trips to the grocery store after lunch to dream about dinner. You get the idea. One of the worst things about working is figuring out lunch. My husband and I are teachers, which means we have very little time to eat lunch (especially on the days when we have lunch duty). It's a treat to have time to leave campus and eat food from the outside world. So we brown bag it. A lot. And it gets boring. And it's not what I want to be thinking about as I'm doing the dishes from dinner. And I guess I whine a lot about it. Moving on. Since today is our very last day of Winter Break, I decided to get a jump on lunches for the week. I know tomorrow is going to be a long, hard day- so lunch needs to be something decent. I made 2 different old-school salads. 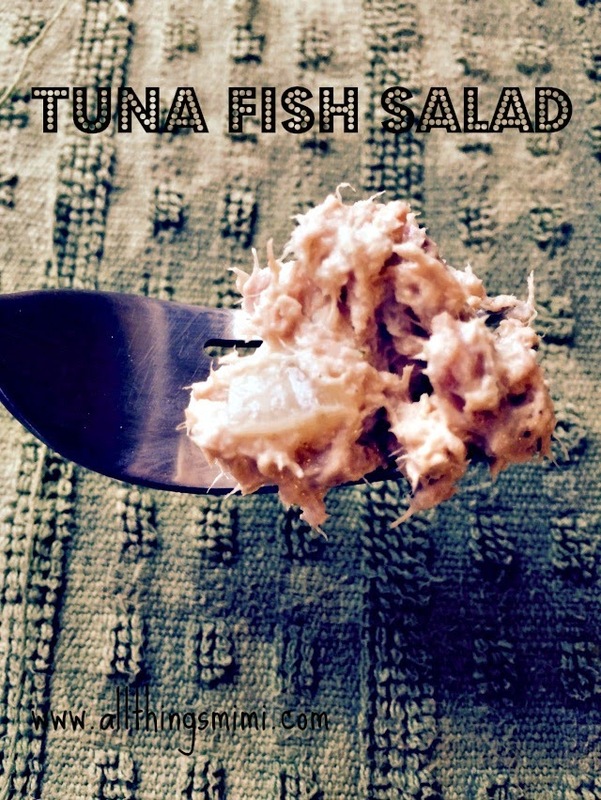 This post will center around the tuna fish salad. As a kid, this was one of my two favorite sandwiches (the other was ham and American cheese with mayo on white bread). Even as I've aged, and my palate has become more sophisticated, I'm still relatively old-school with the tuna. The only sophisticated part of this process is choosing which canned tuna to use. 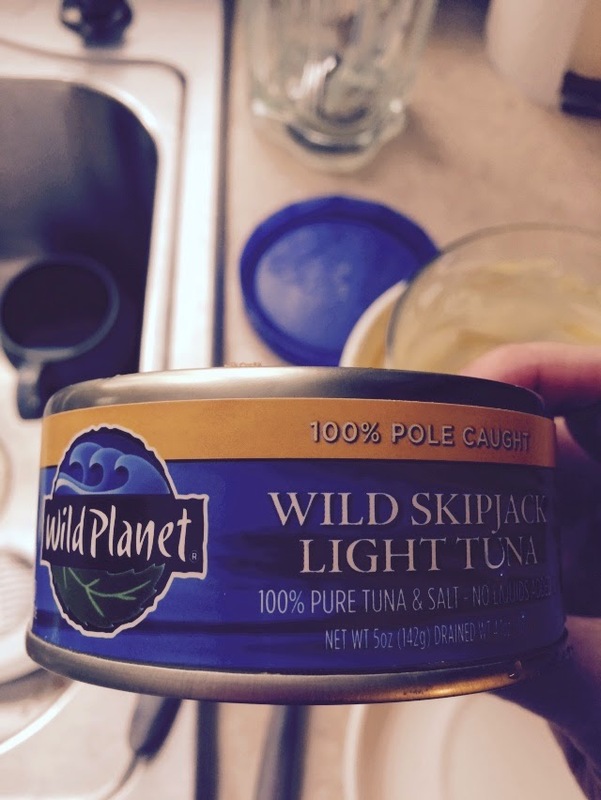 I have switched to a brand that uses only line-caught, wild tuna- Wild Planet. 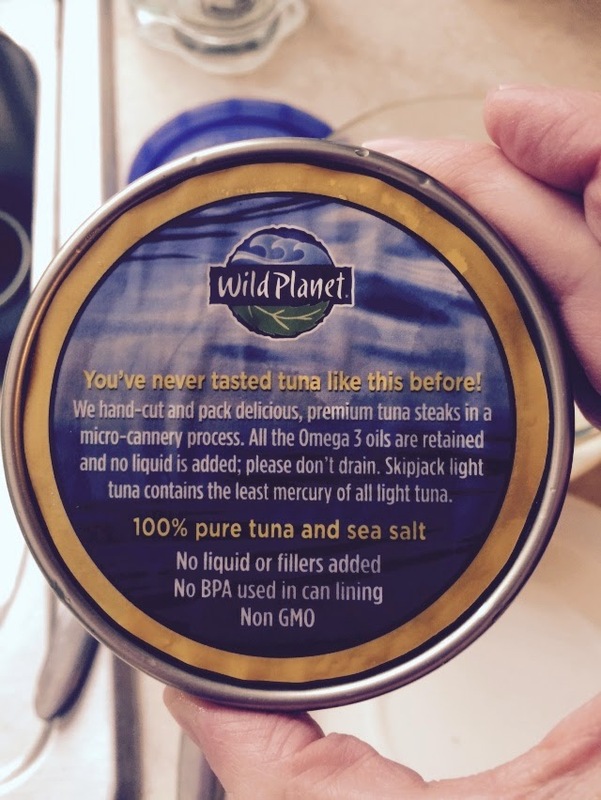 And it uses a smaller type of tuna that is not over-fished (skipjack). The other good part about using smaller species is less mercury to ingest. I'm not an expert on fish or anything, but these things make me feel better about my choice. My only wish is that they'd come out with a version packed in olive oil. I find the fish has much more flavor, and I can use the oil in the can to flavor other things. The second most important ingredient in this salad (besides the tuna) is the mayo. I am an absolute purist when it comes to this. If I don't have time to make my own, I use Duke's. And I can't get it at my grocery store out here in the wild west. I can get it from Amazon (if I want to pay shipping- which I don't), but I rely on my friends back in Georgia to keep me stocked. 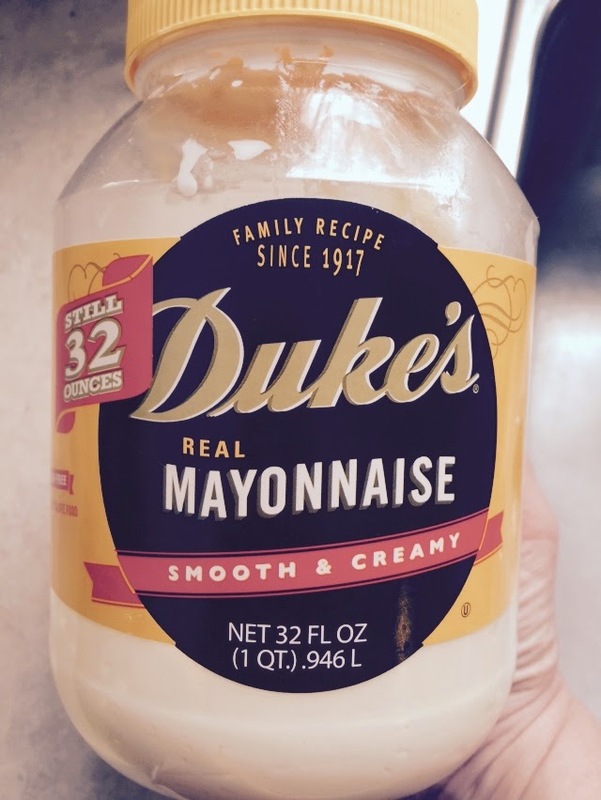 My mother sent me Duke's mayonnaise in my Christmas box this year. A couple of summers ago, my friend Diane and I went to an antique/thrift store and I bought a separate piece of luggage specifically for shipping jars of Duke's mayo home. That's how serious we are about this. Put that all in a bowl and mush it up with a fork. There are 8 billion variations on this. As I mentioned, you can use any pickled component you like. You can even add several. If I'm using chopped pickles, I add a few splashes of the pickling juice. Because I'm Southern. And because it's the right thing to do. If you want yankee tuna fish salad, read a yankee blog! I used to love this on a sandwich. But now, I'm kinda liking it on Wasa Crackers even better. 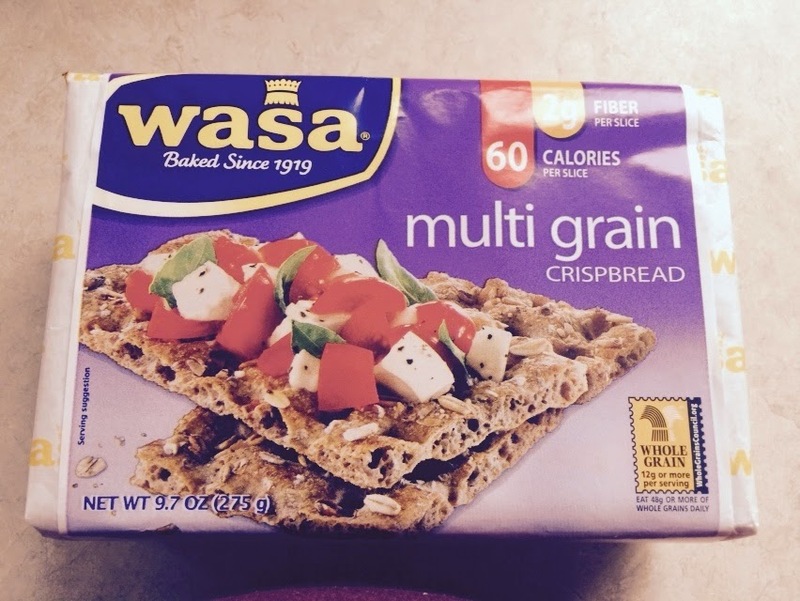 I'm probably not doing myself any favors carb-wise, but I love how crunchy and substantial Wasa Crackers are. Anyhoo- I know we will enjoy this for lunch tomorrow- standing in front of the copier for 15 minutes before we head out to the playground for lunch duty. Sigh. Back to the salt mines!